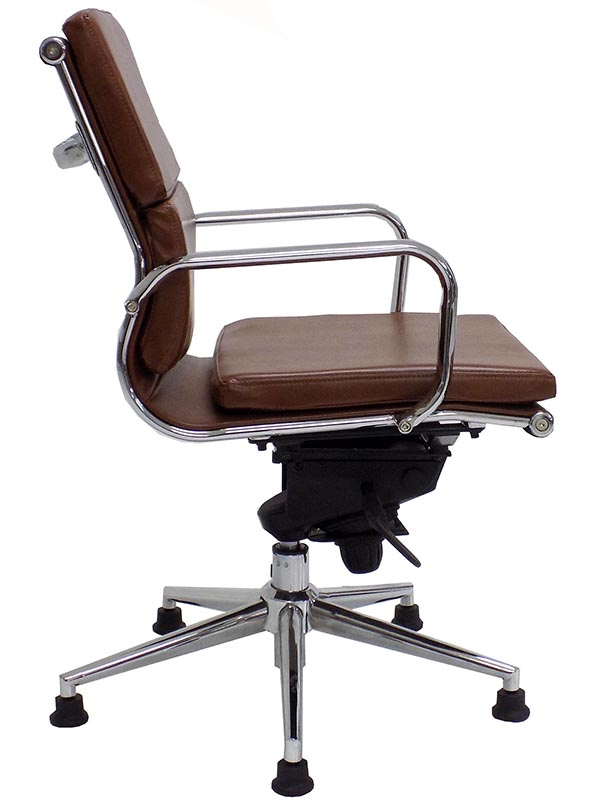 This stunning visitors chair features a classic mid-century design with all of the today's modern comforts. 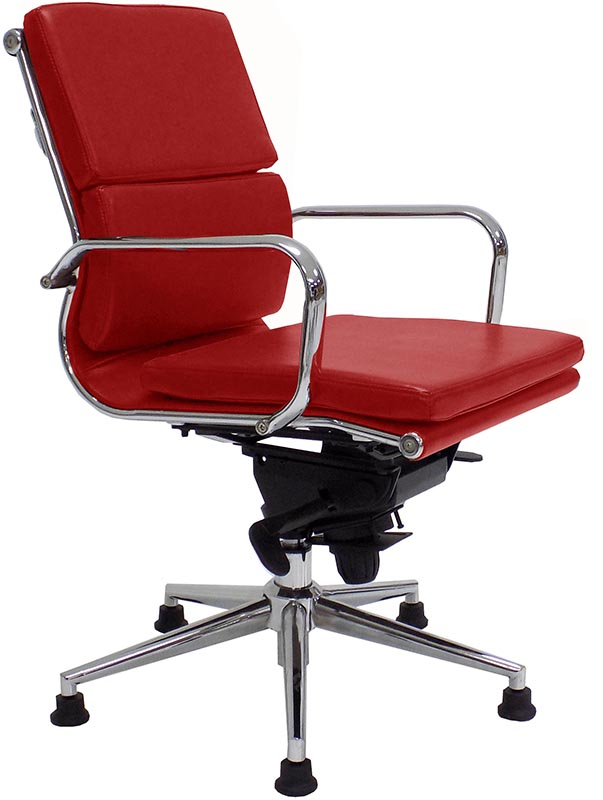 Soft leather upholstery, bright chrome frame - all with tilt and height adjustability � a combination that's hard to come by in guest chairs! 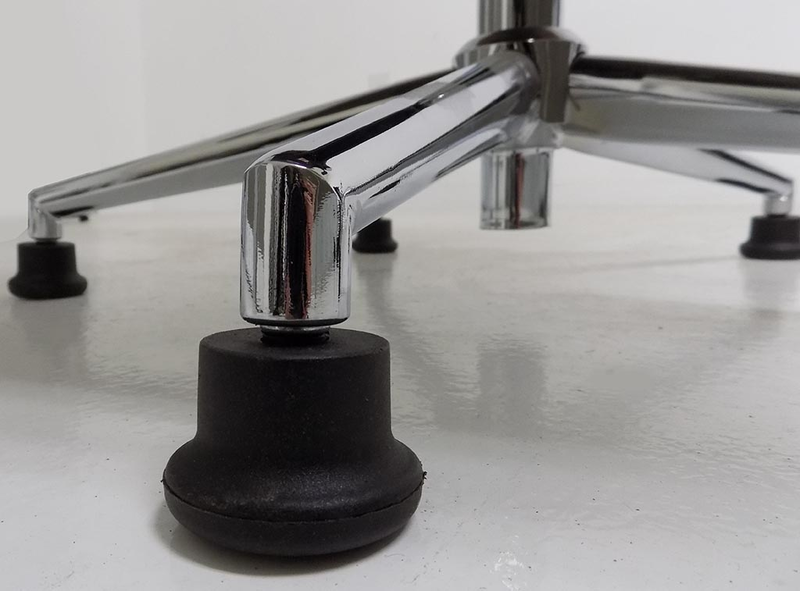 The swivel base features glides instead of casters, to keep chairs from rolling away. 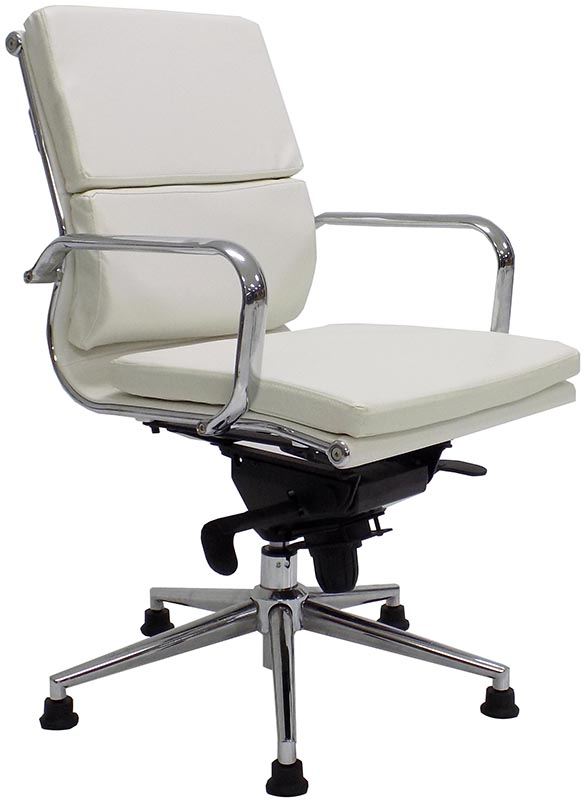 The pneumatic height adjustment allow your clients to set their own comfortable height setting. Tilting mechanism features tension adjust and lock out. IN STOCK in 4 attractive leather colors! Leather Soft Pad Swivel Guest Chair on Glides ships unassembled, but minimal assembly is involved with just four screws! 5 Year Limited Warranty. Shpg. wt. 41 lbs. PRICE INCLUDES SHIPPING! * Split dual-cushion backrest and seat cushion feature that high-end name brand look at a fraction of the cost! * Unlike stationary guest chairs, this chair allows users to swivel, tilt and set their own preferred seat height. 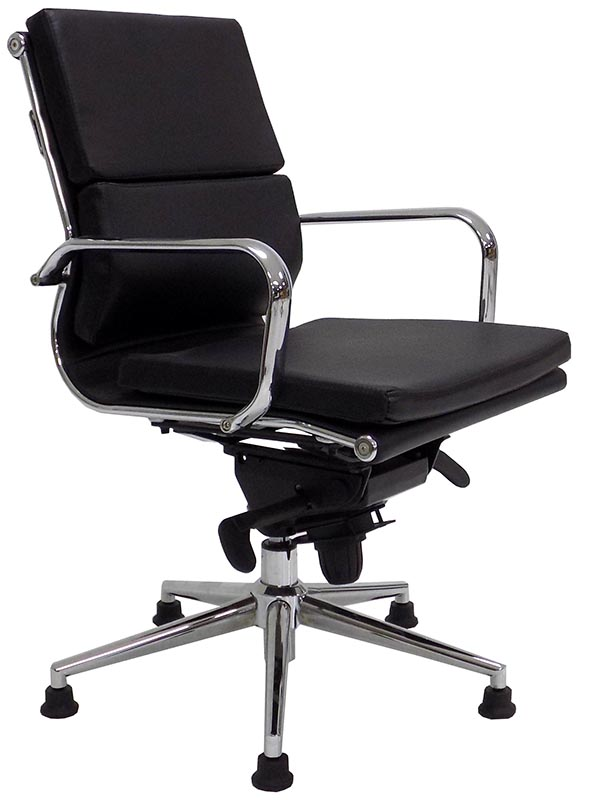 * Sleek and durable chrome metal frame and base. * Durable bonded leather upholstery. Choose from 4 colors! * Sleek, slimline appearance fits in well with modern office d�cor. 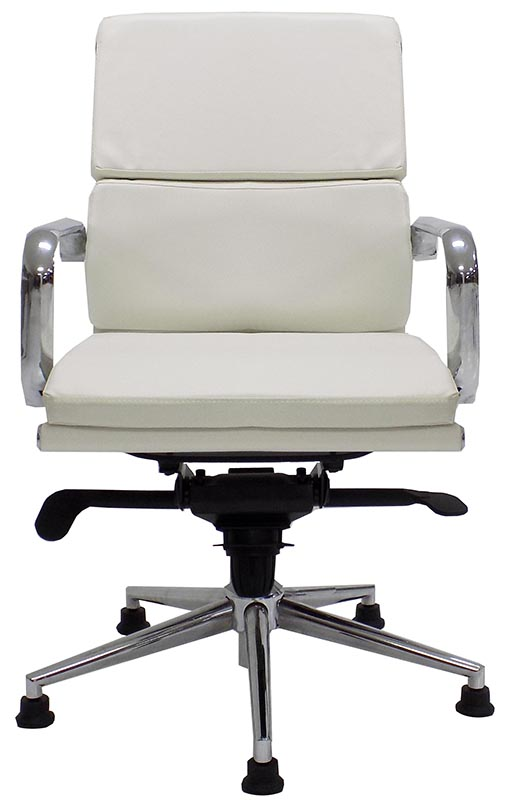 * Mid back design is the perfect height for guest chairs, or conference room chairs! * Curvature in chair frame provides back support. * Firm foam inside seat & backrest cushions for support and extended lifetime. 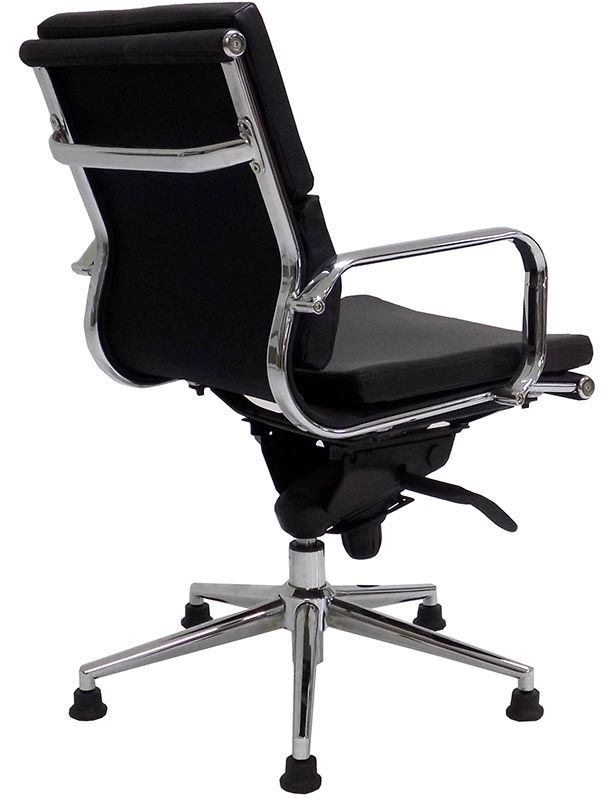 * High tilt tension supports heavier users as they tilt back in the chair. * Chair glides keep your guest chairs in one place! A free set of casters will also be included to convert your chair into a rolling office chair! * Tilt mechanism features tension adjustment and lock. Chair can lock in reclined position, or in upright position. * One-touch pneumatic height adjustment. 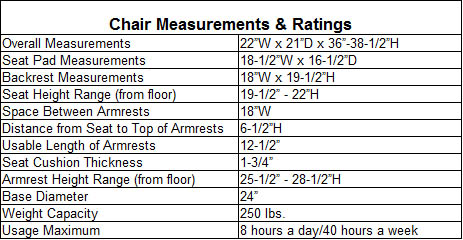 * Chair measures 22"W x 21"D x 36" - 38-1/2"H overall. * Seat pad measures 18-1/2"W x 16"D.
* Backrest measures 18"W x 19-1/2"H (overall). * Usable length of armrests: 12-1/2"